2020 Lake Stevens (Wash.) cornerback Kasen Kinchen‍ will travel to Notre Dame next week to get his first look at the program. 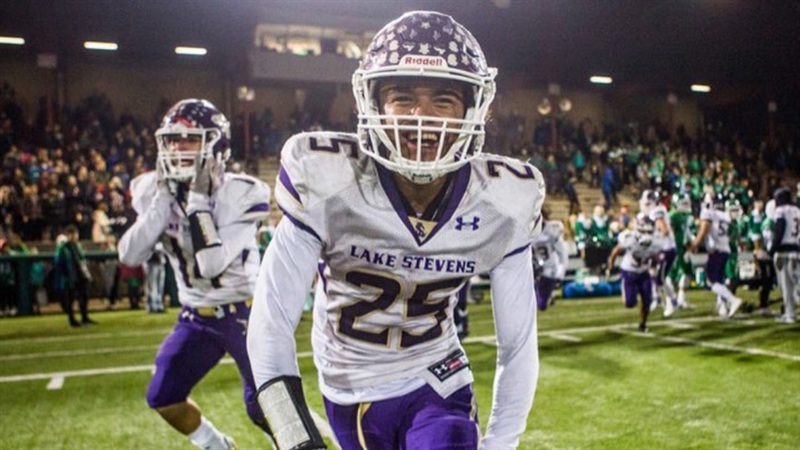 Notre Dame cornerbacks coach Todd Lyght stopped by Lake Stevens earlier this year to check on the 5-foot-11, 165-pounder and Kinchen is more than excited to get to South Bend to see what the program has to offer. “Coach Lyght had come to my school,” Kinchen told Irish Sports Daily. “We have talked and he has told me about Notre Dame. He has also spoken to my 7-on-7 coach, Reggie Jones, and another one of my coaches. Coach Lyght told them he wanted me and Donovan Clark‍ to come check things out. Kinchen holds early offers from Cal, Northern Colorado and Oregon, but he’s hoping to add a few more in the spring as he has a couple of other trips in mind along with seeing Notre Dame. The Washington native is looking for a balance of academics and football, so it’s not a surprise to see Cal, Northwestern and Notre Dame on the list of programs he wants to learn more about. Education is a significant factor for Kinchen, but getting to know the coaching staff on his visits is also an important factor as he simply wants to build a comfort level. When it comes to his game, Kinchen prides himself on being one of the fastest and quickest players on the field, but he also knows he needs to continue to get his weight up as it will only help his strengths. “I have great footwork,” explained Kinchen. “I’m explosive and fast. I have a good backpedal and a good break. I also can play offense if it came down to it. Notre Dame will be a significant visit for Kinchen as he is fully aware the Irish are coming off an appearance in the College Football Playoff, which has had a positive impact on the way he and other prospects view the program.